Since the Pilates fitness system was first created at the beginning of the 20th century, it has helped hundreds of thousands of people develop strength and a higher level of physical fitness. Today, Saint Francis Medical Center’s Fitness Plus is putting a greater emphasis on the system through its new Pilates studio. The Pilates program launched eight years ago with Carlea LaStrapes, the first certified Stott Pilates® instructor in the region. Since then, the program has garnered a following of Pilates enthusiasts, with classes often filling up quickly. In 2013, LaStrapes passed away from her battle with cancer. Her loyal students made generous donations in her memory, providing the seed money to create a new, larger Pilates studio. The new studio is now double the size and offers five reformers, more space for mat work and several TRX suspension trainers. 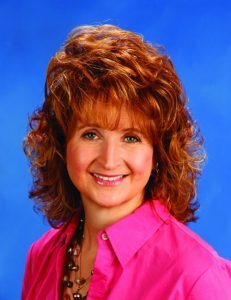 Lisa Freeman, RD, LD, is the new Pilates instructor and is experienced and certified in Pilates. In addition to working with therapists to incorporate Pilates into rehabilitation programs, Freeman has been speaking with Saint Francis’ bariatric surgery group to develop a class for those patients. Pilates is open to both Fitness Plus members and nonmembers. For more information on Pilates classes, call Lisa Freeman at 573-225-2050.